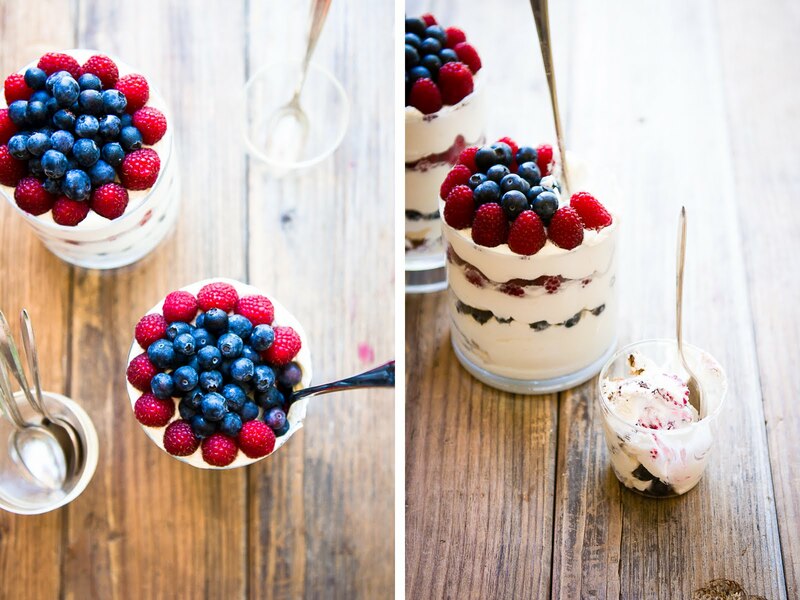 I know that trifles are traditionally a Christmastime dessert, but since berry trifles are so deliciously good (I mean, the combination of berries and cream... right? right? ), I associate the dessert much more with the summertime. Also, the red and blue vibrant colors against the white--of course I couldn't resist a little berries'n'cream chocolate chip trifle to celebrate July 4th. There's something about growing up in the U.S. that really imprints a love of Americana on you. I'm sure everyone's associations of Americana must be subtly different, but at the core, I like to hope that there are certain details and little affinities that we all share in our definitions of Americana. Like chocolate chip cookies (and road trips). For some reason, these cookies just seem terribly American to me, so here they are, in this trifle (instead of sponge cake, which is arguably not in my definition of Americana). So happy, Happy Birthday, oh amber-waved and purple-mountained country, you. 1. Preheat oven to 350 degrees F. Prepare cookie sheets, unlined and not greased. 3. Stir in the brown sugar until combined, followed by the salt and vanilla extract. 5. Stir in the flour until thoroughly combined. Let cool to room temperature. 6. Once cooled, stir in the chocolate chips. 7. Spoon the dough onto the cookie sheets in their desired size, making sure to leave a good amount of space between each cookie. 8. Bake for 20 minutes, until almost crispy. (You want to bake them until they're a bit crispier than usual.) Remove from oven and let cool on a cooling rack. 9. In a large bowl, combine the heavy cream and the mascarpone. Whip with a balloon whisk until soft peaks. Whisk in the powdered sugar and vanilla extract and continue to whip until medium stiff peaks. 10. Break the cookies into large pieces. 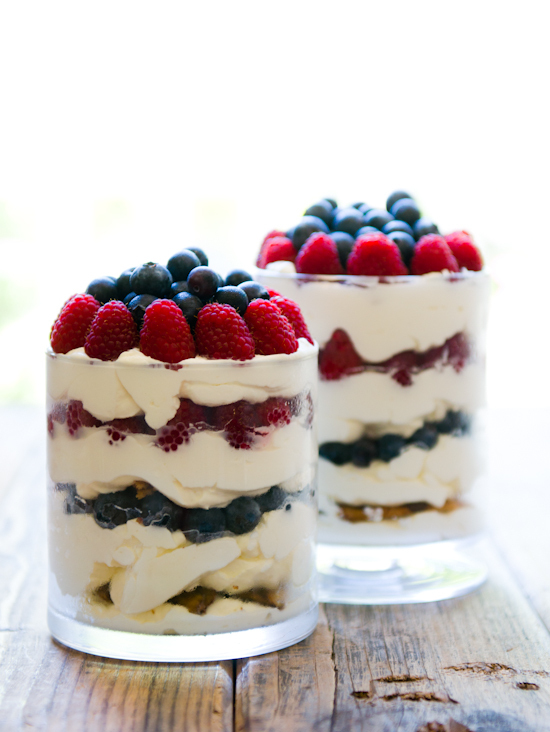 Layer the cookies, whipped cream, blueberries, and raspberries as desired in the trifle glass. Refrigerate if not eating immediately. The trifle pic that shows all the layers are especially good. Would love to try this out. I love the look of the layered trifle!!! Wow wow wow! Beautiful pictures! What I like most are berries... that looks delicious! ooh la la :D love the layers and colors :D must be delicious ! i love your use of chocolate chips cookies in this trifle, and i totally agree that they are one piece of shared Americana. spo lovel-ly! I love your recipes and I love love love your photography. You have combined the two things that I love and hope to become successful at one day. Swoon GOSH I LOVE berries, My middle name should be Elle Berry, gosh, you know, I could have this everyday for breakie, for sure. Love the photography too! Great individual trifles! 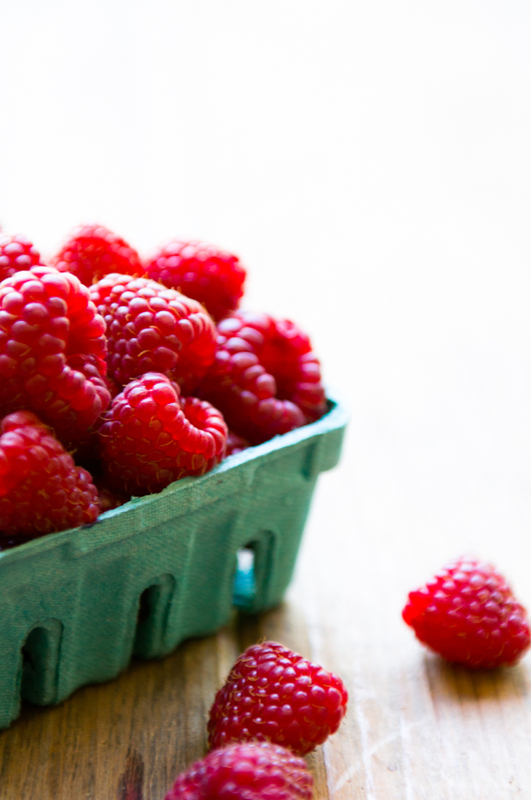 Your raspberries are gorgeous...and so are your photos and presentations! Perfect for the 4th! Right? These photos are splendid. 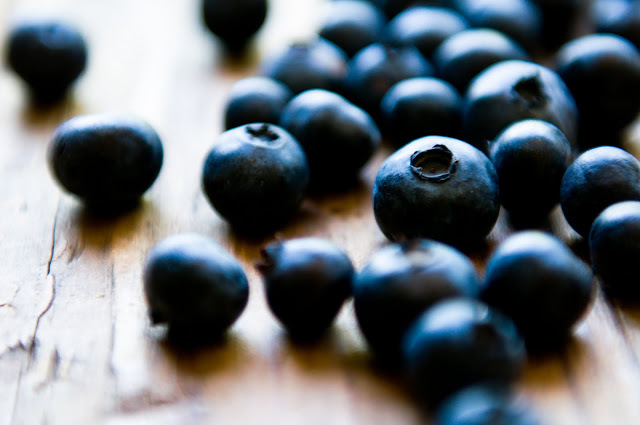 The berries are vibrant. And yes, I could this for days. Thank you so much, everyone! Hoping you all had a good fourth of July, too. 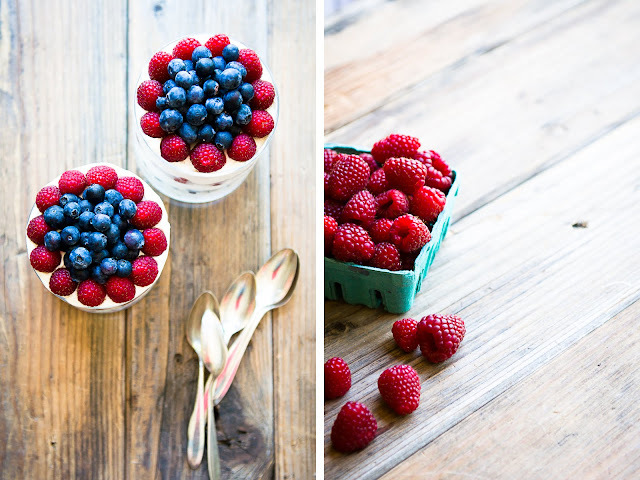 I see you've lightened things up photography wise for this post - nice with the summery treat. Looks so good! I love you blog! Your photos are so beautiful. And I absolutely agree with you - desserts should be for breakfast! Mmmmmmmm. I will be making this very soon! I'm always down for a good trifle. Those fresh berries look amazing! We have fresh peaches at the farmer's market every weekend — any good peach recipes to share?